Ultimately allow governments to be aware of future “Day Zeros” with plenty of time to take action. Cape Town, South Africa is currently in a state of emergency after realizing the coming of their “Day Zero”. Cape Town was originally left with only two weeks before they were forced to completely shut down their tap water. This has caused them to take drastic measures and restrict daily water usage down to 50 liters a day. This chronic drought is also causing a blow to Cape Town’s unique economy by deterring away parts of their annual 2 million tourists and forcing their government to spend more money and resources to resolve the crisis. Because of the many problems Cape Town faced, we decided that we should create an idea where we could also predict other counties/cities' Day Zero. We’ve developed an algorithm in order to predict future Day Zeros. This will allow for governments to prepare accordingly with the proper amount of time and have a lot less effect on its economy.Using values such as Population, Water Usage and Water Level we can figure out the Day Zero of our specific location. For Backend, we used Python to create Machine Learning Algorithms that give us the information such as when will Day Zero occur and some tips to slow down the count to Day Zero. It was approaching three am when Krishnan realized that we were unable to find and log the water levels of the 84,000 dams in the United States. After a very heated argument between four sleep-deprived children, we decided not to scrap fifteen hours of work by limiting our data to New York's dams. I, Nicholas Satriale, came to ProfHacks to observe expert developers work on their projects in hopes of understanding a wider range of engineering fields. As a student with a minimal background in coding, I was never expecting to make an impact on a team, so I decided to shadow the HackPirateers. After seeing the group struggle, I offered my assistance. I was able to utilize my problem-solving skills to develop over six-thousand lines of code in under two hours. We learned that a team works best when it is composed of people who are confident in what they do and do not know. By knowing what we individually lacked knowledge in, we were able to communicate with other team members that had a background in such fields and continue working efficiently. We learned that we should limit our PoC down to the local level. We also learned how to implement polynomial regression with python, and connect with React.JS. We aim to develop a way to efficiently scale our model across the United States with real-time results, and eventually throughout the world to make a positive impact on the globe. 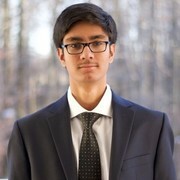 A high school student trying to use next generation technologies to solve next generation problems.